Any of you doing something similar? Any examples of what you’ve done? Secondarily, any recommendations for an ok starter sewing machine? Or things to look out for? The only odd thing I can think of is being able to think some of that thicker felt that people were using to make monome cases on etsy some years ago. I don’t know if that’s something all sewing machines can handle, but it does stick out to me as something I’d want to be able to do/make. But beyond that, I don’t really know what to look out for other than looking at the cost/price scale. I love sewing! I learned from my mom when I was growing up; we collaborated on a lot of costumes for halloween and school plays. I sewed myself a little book satchel I use all the time. Also I sew jackets from repurposed wool blanket cutters that are ripped or stained. The satchel was freehand and the jackets are modified from a pattern I picked up at a fabric store. In my limited experience, the most important things are to know what needles are appropriate for what kinds of fabrics, basic stitching techniques (like always start and finish your seams by going reverse and forward again to secure the seam), how to read patterns, how to rip a seam out without ruining fabric so you can fix your mistakes, and preferably have a knowledgeable person nearby to ask questions to. I am looking for a good used machine right now; probably a used Husqvarna or other metal-bodied machine that doesn’t have a computer in it. A lot of newer ones are not only cheaply made, they are more difficult to adjust/fix yourself. I prefer to work on my own machine as opposed to taking it to a repair person, but it depends on your resources (time, presence of a mentor). If I come across any particularly great tutorials I can post them here! Also really excited to see who else sews things around here. 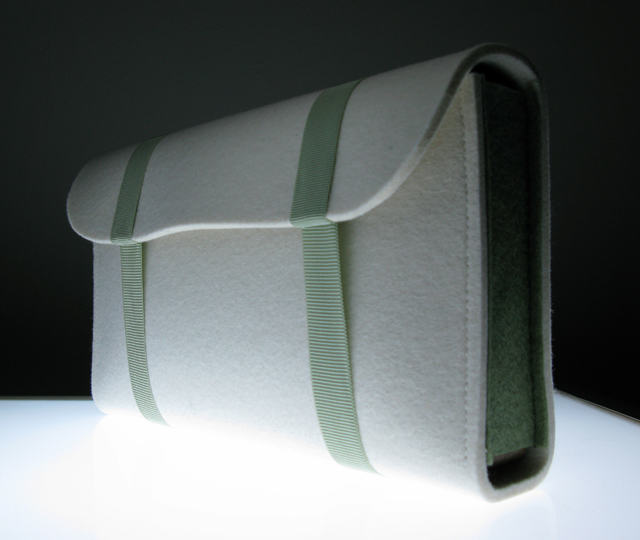 I made a ton of felt monome cases back in 2009/2010. The felt was like 1/4” thick and I had to modify one of my sewing machines to be able to handle it. Once you get the thread tension right, it is really easy to sew. My mother/grandmother did a lot of sewing when I was younger. I remember my grandma in specific fixing lots of my clothes and modifying a lot of my bags (probably where my “perfect bag fetish” started!). Sadly I never picked up any of that stuff, but instead picked up all the kitchen/cooking skills. Never too late I guess! I am looking for a good used machine right now; probably a used Husqvarna or other metal-bodied machine that doesn’t have a computer in it. A lot of newer ones are not only cheaply made, they are more difficult to adjust/fix yourself. That’s good to know. In my quick looking around I did see plenty had LCDs and such to change/select modes. Once you get the thread tension right, it is really easy to sew. So is it just a matter of something that has high enough thread tension? Dont make my own cloths, but have made quite a few different bags ranging from just small zippered bags to hold cables, to toiletries, to bike frame bags. From what I have learned the hardest part is just cutting all your patterns, once you have that down throwing some thread in it is relatively easy. I use a Singer Heavy Duty as its all I have and found it at a thrift store. But basically my learning process was learn to sew two pieces of fabric together, then just deconstruct bags I have found that I like to get basic pattern ideas and sew together. Plenty of youtube resources out there as well to help get you started. I wish I had an industrial machine to do more heavy duty materials, but I make due with what I got. I don’t know how to sew (I’d love to learn!) 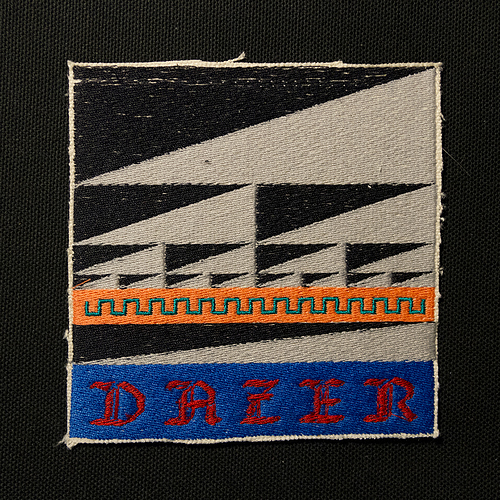 but I do have a home embroidery machine—a Brother PE770—and I adore making my own patches/hats/sweaters/etc. 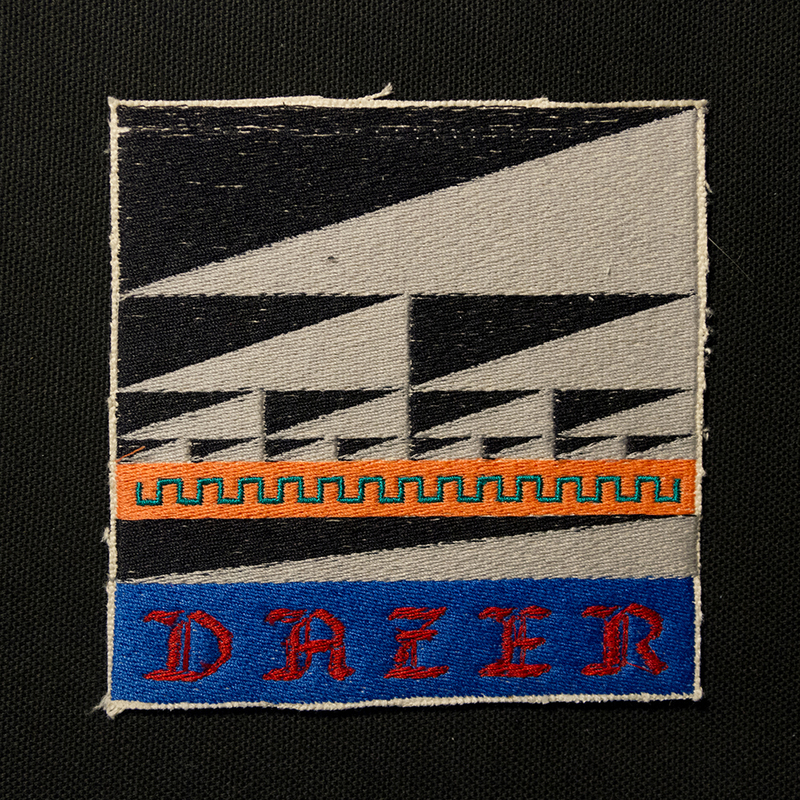 I’ve made patches for my band, patches to wear, to put on my dog’s leather jacket, to give as gifts. The last one is particularly gratifying — making a custom design for a dear friend and creating an edition of one. It feels like a really special gift on both sides. 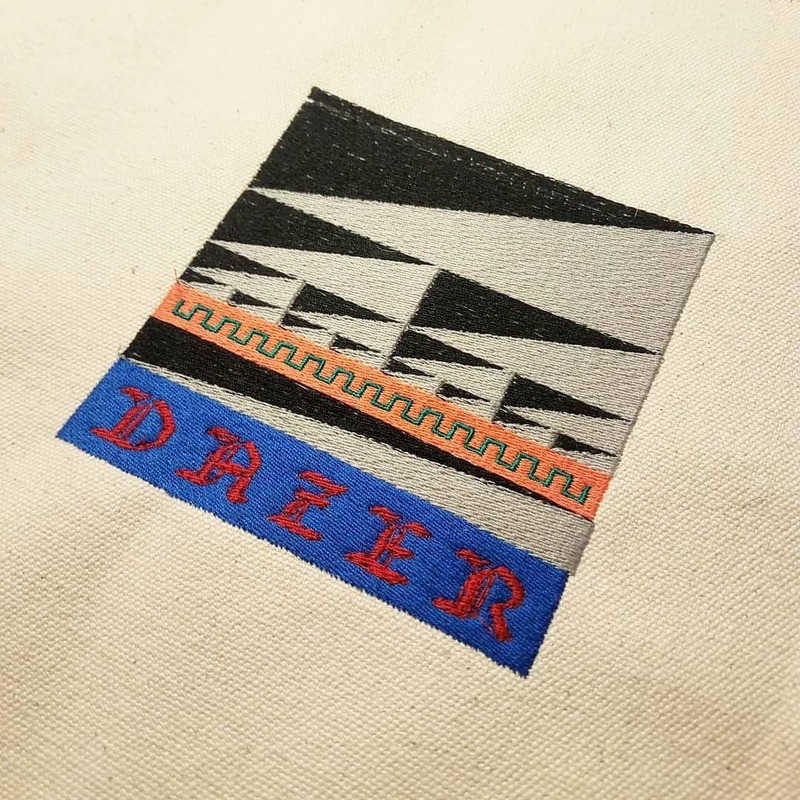 The process of embroidering, from creating the design (more esoteric and involved than I had anticipated), to choosing the fabric, to attending to the machine as it does its thing, swapping thread colors, etc, is a really zen feeling for me. if you get serious about sewing super thick/tough materials, sailrite machines are pretty amazing. I’ve done a lot with an old Singer (electric, but no electronic control, only a handful of settings). I haven’t hit the limit of what it can handle yet, but I’ve only gone up to a couple/few layers of ~1/8” felt or so. 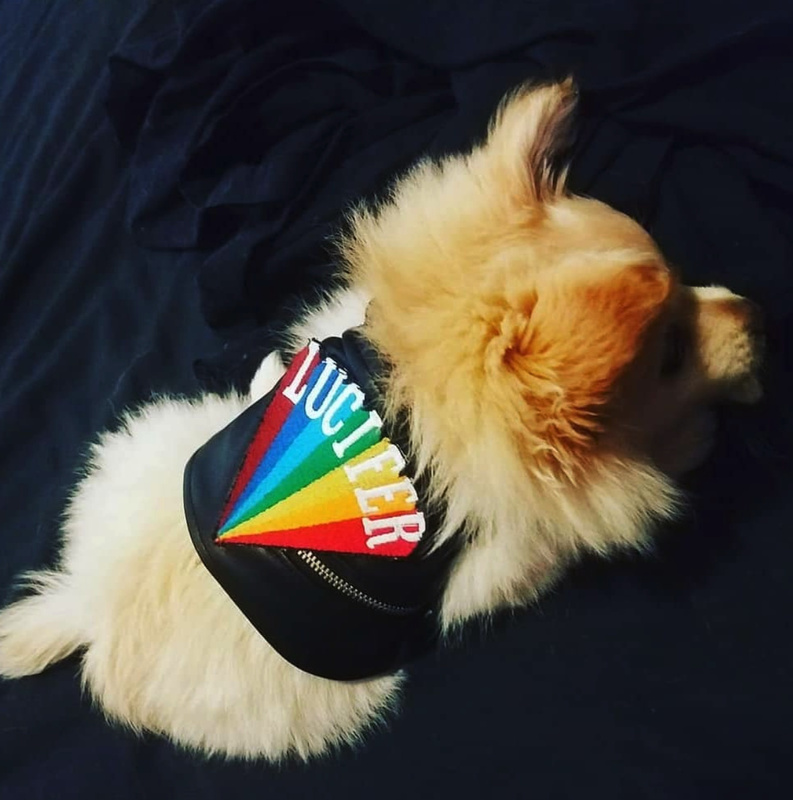 IS THAT A POMERANIAN IN A TINY KENNETH ANGER JACKET. Hehe, yes that was Basil’s Pride outfit. It was a big hit. 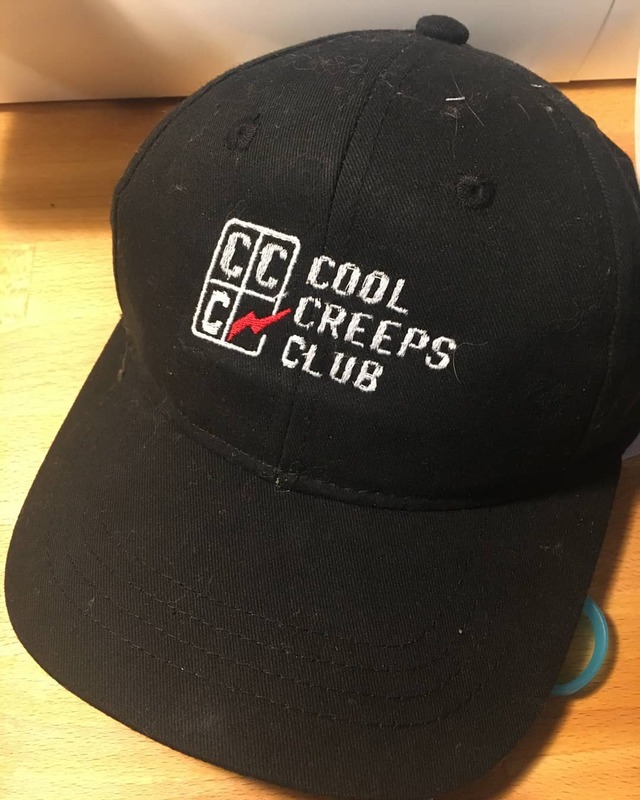 I’ve sewn three full-size sails, three hammocks, a variety of custom-fit covers for my keyboards, a handful of ball caps, and a variety of miscellaneous tailoring. I’ve also made a jeans kilt. Sewing is super fun, very relaxing, and while I’m not amazing at it yet, I’m getting pretty good at canvaswork-level stuff. I’ve owned Sailrites, currently own a mid-range Bernina that I got at a good price, and absolutely love it. 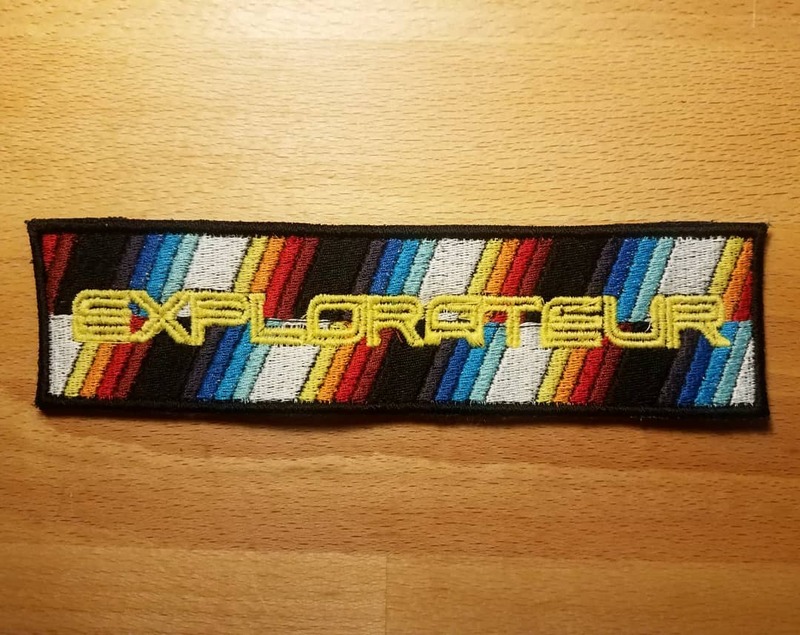 Planning to sew a cover for a recent synth purchase this weekend, if I end up able to make the time for it. So “heavy duty” is a good thing to look out for then. One of @Angela’s (flag making) artist friends suggested a Singer Heavy Duty 4423 machine. It isn’t crazy expensive or anything, but I wasn’t sure if it was overkill for what we wanted/needed. Quite excited to get into making some clothes too. My take on heavy duty sewing machines is that they’re rarely needed. I sewed my jeans kilt on my friend’s ordinary 1980’s era Singer home machine. It had a little difficulty and I swore at it a few times, but all in all it completed a very demanding job just fine. My Bernina is not a “heavy duty” machine but it would do the same job without breaking a sweat - we sewed even heavier gear with it and it just plowed right through. One of the things to look out for is that so-called “heavy duty” machines are usually less precise than ordinary machines, making stitches that are less even, and often fouling the finer threads on the bobbin hook or casing due to looser manufacturing tolerances. This, in my opinion, is worse than a machine that’s slightly underpowered (use an appropriate, new, sharp needle and help the feed out gently and you can work your way through it just fine in nearly all cases). When I tried to use the Sailrites to do nicer things they were extremely awkward and balky and the results looked very homebrew. With a modest quality home machine (I’m not talking the cheap plastic ones, but a well made vintage or a mid-market modern unit) you shouldn’t have any trouble doing anything from midweight leather to jeans to canvas to sailcloth. If all you’ll be doing is heavy canvas, and you’ll be doing a lot of it, ok, maybe getting a more specialized machine makes sense. But for cases, bags, covers, jackets, patches, all the way to t-shirts and slacks, you’ll be much better served with a more standard well made tailoring machine. Edit: Also, Sailrites are just rebranded Chinese knockoff machines. You can find the same exact machine much cheaper on various eBay sites. And my biggest gripe with them is that the reverse and the stitch length lever are one and the same and it’s difficult to reverse precisely when using short stitch lengths - it needs an awkward hand gesture with lots of force. They make it look easy in their videos and yes, you can get to that point when using large stitches and sailcloth that’s well taped, but for slippery fabrics where you need two hands to hold everything in place, and stuff you need to make with more grace and precision, they just aren’t the right choice. A sewing machine with reverse on the pedal is AMAZING for the finer quality productions and details like straps/webbing, pockets, etc. One of @Angela’s (flag making) artist friends suggested a Singer Heavy Duty 4423 machine. This is the machine I used to own; you can’t adjust the bottom bobbin tension which makes it harder to adjust. I found it frustrating, but my friend who does quilting has one and loves it. I guess that’s the nature of looking into a whole new world of devices/things, it’s all confusing! Is it worthwhile trying to find an older/vintage/used-type machine rather than going with something new? It certainly can be, but whether you buy new or used, research and investigation combined with knowing what you really need/want is important in order to get both a good deal and the right machine. If you’re new to sewing, I’d recommend taking at least a beginner course at a local shop (they’re fun, actually!) or try out a friend’s machine under their tutelage first, to get a feel for things you like and don’t like about a given machine and to learn the terminology and standard operating procedures that will help you to more usefully compare/contrast different models and features. Edit: It won’t hurt to try a variety of different brands/styles at a local machine shop too, even if you have no intention to buy new, just to get a feel for how different brands place the controls and to ask all the questions you have about features, etc. Pick a shop that you’re happy to give some business to (e.g. buying thread, feet, supplies, parts, whatever) and then pick their brains! Some classes would be great, now that you mention it. Not sure if I’ll find anything like that in Porto, but it’s worth having a check either way. I’ve seen several fabric stores around, but haven’t really seen if they have machines there too (though I haven’t checked really). I’ll start there! BTW, these cycling caps are a great first project - they’re not that hard, but they’re challenging enough with the curves and details that they’ll be a good introduction to all of the necessary aspects of sewing things like bags. There’s even a little bit of elastic work in there, which is always good to become familiar with! I’ve made a few of them and my recommendation is: make the first one (or more, depending on the outcome!) out of what’s typically called “muslin” - a cheap, pale-coloured cotton canvas. It’s commonly used to make patterns and to test fit/assemble first drafts of clothing work, since it’s cheap and can be marked up easily. Use a contrasting thread colour so you can see and critique your work, and expect the first few to come out with imperfections. It’s ok! Once you finish it, use a nice twill or canvas in your colour of choice (along with either matching or contrasting thread depending on how good you ar with keeping your lines even!) to make a couple good models and you’ll have some fancy little hats to wear around.